Customer interactions … include all of the social and emotional consequences of a customer’s interaction with an organization or brand, including trust, motivation, relationships, and value. There is a trend among some in the UX community to take the U out of UX and refer to our discipline simply as experience design. One reason for this change in terminology is that it lets us talk about a specific target audience in terms that resonate with business stakeholders more than the generic term user—for example, customer experience, patient experience, or member experience. The other reason for using the term experience design rather than user experience design is that it recognizes the fact that most customer interactions are multifaceted and complex and include all aspects of a customer’s interaction with a company or other organizational entity, including its people, services, and products. Customer interactions encompass much more than the usability of a particular user interface. They include all of the social and emotional consequences of a customer’s interaction with an organization or brand, including trust, motivation, relationships, and value. User-centered design typically involves an element of research with the target audience and an iterative design process that lets UX professionals analyze designs and test them with representative users. The activities and methods of a traditional user-centered design process vary somewhat among practitioners, but the basic components are similar. User-centered design typically involves an element of research with the target audience and an iterative design process that lets UX professionals analyze designs and test them with representative users. The idea is to generate ideas for design by talking to potential users, then validate the resulting designs through real-world tests with those same users. Common techniques that are familiar to practitioners include task analysis, contextual inquiry, paper prototyping, card sorting, the creation of personas, and usability testing. By focusing on user tasks and goals, user-centered design reduces users’ learning curve for a product and leverages their existing knowledge to maximize usability and value. We have traditionally judged the success of products that result from a user-centered design process by their learnability, efficiency in use, and the satisfaction that results from a user’s experience with a product. While user-centered design’s success in developing usable systems justifies its popularity, there are several arguments against it. First, some doubt the value of the user-centered design process and question the investment of the time and resources a team needs to complete a range of research and testing activities. They point to successful designs that were developed by talented designers, applying only minimal user research at the outset of a project. This sentiment is especially prevalent among business owners, who feel they already understand the needs and goals of their target audience. Second, while listening to users within a research context helps make designs more usable and efficient to use, many question whether it leads to new thinking or innovative ideas. Users are not designers, and they are rarely good at thinking of creative design solutions to their problems. Relying too heavily on users’ suggesting solutions during the research or design phases of a project may steer well-intentioned designers in the wrong direction. This argument reminds me of the spoof video in Figure 1, which shows what the iPod packaging would have looked like if a team at Microsoft had designed it by listening to requirements and suggestions from customers. For experience design, the second argument is particularly relevant. If users aren’t good at telling us what they want with regard to features for a design, they are likely not suited to talking directly about their emotional response to a design or the impact of their experience with an organization as a whole. Researchers and designers who focus too closely on what users ask for and who too rigidly follow a set process may not have the flexibility to see creative solutions that would meet the broader emotional requirements of a customer’s entire experience. Finally, while increasing the efficiency and effectiveness of a user interface design through user-centered design are desirable goals, the needs of many user interfaces today are broader, incorporating social and human elements that go beyond usability. Genius design … forgoes user research and the iterative design and testing cycles of user-centered design in favor of relying on the skills of talented designers. An alternative to user-centered design is what some have called genius design. This approach to design forgoes user research and the iterative design and testing cycles of user-centered design in favor of relying on the skills of talented designers. The idea is that if a good designer focuses on solving users’ problems, the designer can use his or her skills to generate creative solutions without introducing the bias of users’ prior experience. This approach obviously requires fewer resources for user research and usability testing, and its intent is to develop unique solutions to specific user problems. Proponents of this approach point to the success of innovative products and companies that leverage minimal user research in the design process. 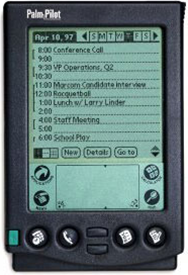 The success of the first Palm Pilot is an example. 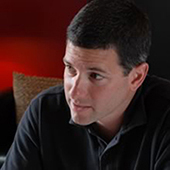 Jeff Hawkins, the creator of the Palm Pilot, spent most of his budget for the project on development and production of the product and had limited time for user research. He did develop a wood block prototype for himself, but there was limited time for user research and usability testing. The success of the product was credited to his adherence to his original vision for its design. As one might expect, user-centered design advocates see several problems with the genius design approach. First, while examples of successful genius design are available, not all designs that result from a process involving minimal user research are successful. Even a great designer usually tries several unsuccessful ideas before developing one that actually works. The Palm Pilot is an example of this. Have you heard of the GRiDPadSize or the Zoomer? Likely not. Neither of those products was commercially viable. Both were hand-held PDA projects Jeff Hawkins was involved in before the Palm Pilot. Many organizations cannot afford to risk the failure that might result from pursuing such projects or designs and point to user-centered design as a way of increasing their chances of success. Second, and most relevant to experience design, even if talented designers are adept at solving user problems, how can they be sure they are solving the right problems? Making assumptions about user problems and needs often results in product designs that don’t satisfy the needs of their intended audience. Similarly, users’ emotional response to a design may not align with the designer’s expectations. New methods and approaches for experience design merge the best of traditional user-centered design and genius design. The goal is to obtain insight into the attributes of an experience that would help or delight people based on research evidence. New methods and approaches for experience design merge the best of traditional user-centered design and genius design. The goal is to obtain insight into the attributes of an experience that would help or delight people based on research evidence. However, the process does not rely on following exactly what users say during research interviews and instead leverages the talent and imagination of designers to look beyond what users are saying to envision creative solutions. The goal is empathetic design, or experiencing a solution as a user would. To enable this approach, designers can consider some alternative approaches to traditional research interviews and conceptual modeling. These techniques represent extensions to both the traditional user-centered design approach and the genius approach. The list of techniques I’ll describe here is not exhaustive, and these techniques may not apply to all design situations—rather they offer options for those looking to expand their approaches to user research. Asking user research participants directly about their needs and goals is subject to biases and filters that may limit our insights into users’ social and emotional needs. Asking user research participants directly about their needs and goals is subject to biases and filters that may limit our insights into users’ social and emotional needs. Experienced interviewers who recognize this danger can potentially read between the lines and make their own judgments about participants’ feelings, but that approach can be error prone. However, by leveraging personalization and storytelling techniques, researchers can gain insights into users’ personal motivations and perspectives. At first these types of questions may seem silly or not applicable, but given the right context, they let participants explore different situations without imposing the filters they might apply to their own experiences. By giving user interfaces names and personalities, participants can help researchers understand the characteristics that are important to them for a product in a particular domain. In addition, the relationship participants describe between themselves and a concept can give us insights into the social and personal aspects of their experience in the context of an interaction. These insights can help designers understand the emotional impacts of different design options. Participants assume researchers are interested in studying the particular topics they’ve included in their interview scripts and don’t raise other issues that might be more pertinent to their overall experience with a product or potential design. In typical user research interviews, a researcher asks participants about their thoughts on a defined list of topics. The disadvantage of this approach is that the researcher may be inquiring about topics that are of little value or significance to the experience of the participants. Generally, participants will dutifully answer questions about any topics we ask them about, without thinking more broadly, going beyond the limits our questions impose, or interrupting us to tell us about dimensions that may be more relevant to them. Participants assume researchers are interested in studying the particular topics they’ve included in their interview scripts and don’t raise other issues that might be more pertinent to their overall experience with a product or potential design. Triading is a method that allows a researcher to uncover dimensions of a design space that are pertinent to its target audience. In triading, researchers present three different concepts or ideas to participants and ask them to identify how two of them are different from the third. Participants describe, in their own terms, the dimensions or attributes that differentiate the concepts. Participants follow this process iteratively—identifying additional attributes they feel distinguish two of the concepts from the third until they can’t think of any other distinguishing factors. By repeating this process across multiple participants, researchers can see trends that define audience segments or personas. The benefit of this process is that it uncovers dimensions of a particular domain that are important to the target audience rather than the researcher or designer. In addition, the dimensions participants identify are generally emotional aspects that it is important for experience designers to consider. For example, participants may describe differences in groups as “warm” versus cold” or business-like” versus fun.” Designers can then use the most relevant or common dimensions as inspiration for further design and exploration. Another way to break free of the rigidity of traditional research interviews is to involve participants in games that are oriented around the domain of interest. Another way to break free of the rigidity of traditional research interviews is to involve participants in games that are oriented around the domain of interest. During a traditional interview, participants know they are supposed to answer questions, and the formality of the proceedings can limit the creativity and expressiveness of their responses. Positioning research as a game can ease the stress on participants, promote their involvement and engagement with the subject, and make them less reserved in their responses. In addition, participants’ behavior in the course of a game can give designers insights into aspects of the target audience that are difficult for participants to talk about directly. For example, their behavior in time-stressed environments, emotional reactions to new concepts, natural patterns of language, and motivational drivers are all elements that are important to experience design, yet all of these are difficult to uncover using standard interview questions. Games are particularly helpful when examining issues of communication. In a research setting, a game provides motivation for two or more participants to talk, chat, or interact in a natural way, allowing designers to understand what elements of communication align with users’ existing systems. Their interaction during a game also exposes the implications of and users’ emotional reactions to social environments that it may be important for designers to consider. Leveraging alternative techniques during the research and conceptual phases of a project can help designers empathize with these complex dimensions of user behavior and envision creative solutions. Experience design requires a broad understanding of the motivations and aspirations of the target audience. Leveraging alternative techniques during the research and conceptual phases of a project can help designers empathize with these complex dimensions of user behavior and envision creative solutions. By pairing these approaches with traditional user-centered design techniques to iterate and refine design ideas, designers can address a wide spectrum of design considerations—from learnability, efficiency, and effectiveness to pleasure, trust, persuasion, and delight. There’s an additional axis for the fidelity of your various models—user, interaction, system—that explains a bit how projects are designed. I think positing genius against user-centered design creates a false distinction between the two. Not to mention that business-centered design might be a more apt description of the process, overall. That iPod spoof is great! I’ve never seen it before. I’m not sure I agree that this type of misguided branding could be the result of listening “too closely” to customer requirements—or at least not when done by a qualified UX team. It seems that bad interviews occur when time is spent focused on the customers’ recommended solution as opposed to paying attention to the customers’ underlying needs, wants, and fears. The latter enables insights into the problem, which in turn does allow for a creative solution. So maybe a more plausible explanation—for me at least—is that something like the Microsoft iPod Pro 2005 XP results from design by committee. Every stakeholder wants a piece of the box pie, so the end design has no consistent or clear voice. When do you involve users in the design process? What do you ask them when they are involved? When do you rely on best practice or existing research rather than deciding you need to involve users? When can you rely on the expertise of designers, and when do you need to test assumptions? For example, if you are testing a flow that you know is complicated in the first place and could be addressed through expert review and redesign first, why invite users to the table? Far too often, I see users involved in the process just to convince management of the value of what we do. So when we have solved the design problems, we may not always need to invite users in, while still maintaining a user, or customer, centered design point of view—independent of whatever you want to call it. Hi Ben, thanks for your comment. I think you hit the nail on the head when you talk about focusing on users’ underlying needs, wants, and fears. For me, it’s not only a matter of when we involve users in the process, but what questions and how we ask them questions that can help uncover these drivers of user behavior. All too often, I’ve heard researchers and designers ask users what the best solution would be. Much better are research formats and activities that allow us to think empathetically about users and how they would react to certain design concepts. This is why I am intrigued by these other formats such as games, triading, and personalization. I am sure there are others, and I’m interested to hear if anyone has had success with other approaches. Dan, excellent points. While genius design and traditional user-centered design are presented here for point of discussion, I like your summary of points to consider when creating a UX Research plan. I find the genius design / user-centered design comparison useful when I am presenting UX options to non-practitioners. The contrast allows me to show the strengths and weaknesses of each method before discussing the considerations for the specific project at hand. At that point, the points you raised will surface, and I can correctly align UX activities with the needs of the project. Triading is an interesting research tool. Michael—Can you give an example of how you have used triading and common logistics of the technique? For instance, can a participant rotate the design concepts being compared depending on what comes to their mind, so they may initially compare A and B with C, then A and C with B, and so on? Is this implicit in the interative nature of the process? Yes, during triading, a participant can pair different concepts for each attribute. For example, the participant can say that concepts A and B are “trustworthy” and C is not. Then he can say that B and C are “clean looking,” but A is not. The important part of the exercise is not to declare two a winner and one a loser, but rather to elicit the attributes that participants use to compare concepts. You will be suprised at the attributes participants use to differentiate items. The selection and naming of these attributes can give you insights into areas that will help you identify unique opportunities for your design. If only two design concepts are available, is the process still effective in terms of eliciting attributes that are important to participants? If a participant is comparing only two ideas or concepts, in my experience, you don’t quite see the same types of comparisons. If you compare just two, participants generally pick a winner and can’t identify as many salient attributes that differentiate the two. Obviously, if you only have two options, you do what you can, but comparing three options is likely to get you more insightful feedback.